VGA presents talks to deepen audience engagement and understanding of video games and new media. Upcoming and past talks, tours, conferences, and panels are here. Contact VGA to schedule a field trip or have a speaker join your school today! To further discourse and conversation about video games and new media, VGA publishes the VGA Reader and other titles. 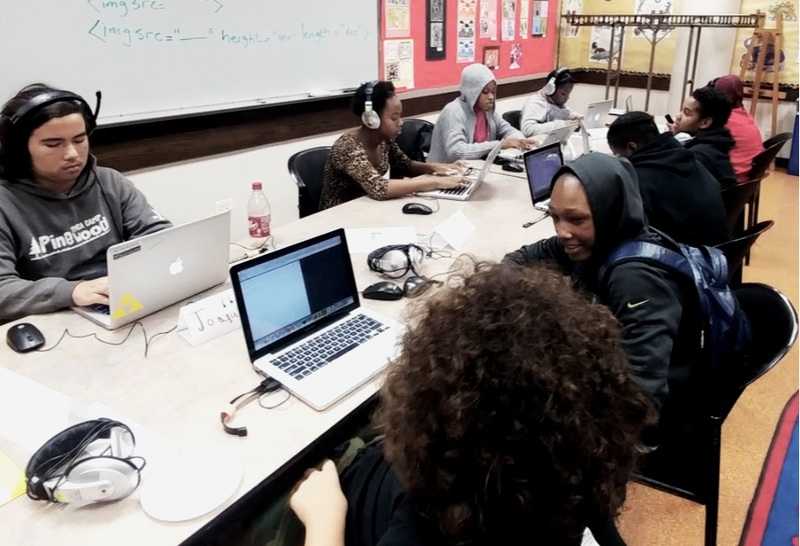 In a partnership with Humboldt Park Library’s YOUmedia program, VGA trains Chicago’s next generation of game developers in fall, spring and summer courses. To enroll or for more information contact VGA. VGA® is a registered trademark of VGA Foundation.